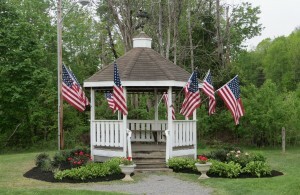 The Village of Delanson is situated in the southern part of the Town of Duanesburg, in Schenectady County. It lies between the historic Cherry Valley Turnpike and another highway once known as the Danforth Turnpike. 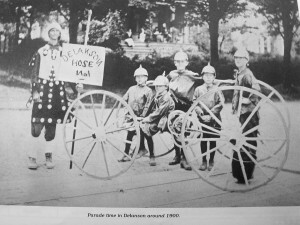 Under the name of Delanson, its history dates back only to the year 1893. 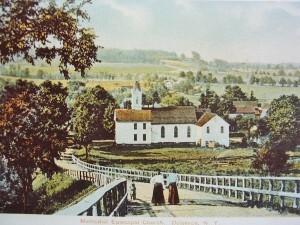 The sister village of Quaker Street, New York, situated approximately one-half mile to the south of Delanson and on the Danorth Turnpike, was the pioneer business center serving the surrounding territory before the era of the railroad transportation. What is now known as Delanson was then referred to as Toad Hollow due to the fact that it lies to the head of the Normanskill drainage area. The Albany and Susquehanna Railroad Company, being authorized and organized by the State Legislature to construct a railroad from Albany to Binghamton, built the railroad in sections. The first section extended from Albany to Central Bridge and its engineers, seeking a favorable grade, found the desired route passed through the upper part of the Normanskill Valley which provided an improved means of transportation for this vicinity. This first section was constructed during the years 1861 to 1863 inclusive and in the latter year, transportation was established between the above named points. To best serve the needs of Quaker Street, a site was chosen for a station and other necessary facilities. A station and a freight house were erected on the east side of the highway crossing, between certain tracks existing at that time. This point was given the name Quaker Street Station. The Delaware and Hudson Canal Company was organized and then expanded by buying or leasing railroads from Rouses Point, New York to Wilkes-Barre, Pennsylvania and extending the canal from Honesdale, Pennsylvania to Rondout, New York. The Albany and Susquehanna Railroad became the Susquehanna division of the Delaware and Hudson Canal Company. Later, the canal properties were sold to Samuel Coykendall, who dropped the word “canal” from the corporation title. 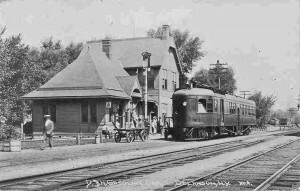 The Schenectady and Duanesburg Railroad, built from Delanson to Schenectady connected with and became part of, the Susquehanna division of the Delaware and Hudson Railroad at Delanson. The formation of this junction brought increased activities to this point, making it necessary for more men to be employed. Mr. Hicks Sheldon. Given the nature of railroad employment, the population of the village was largely of the transient type, with employees coming to work for short times and leaving through advancement, promotion, or the desire to seek employment in nearby Schenectady with its extensive enterprises. The transient nature of Delanson’s population accounts for the considerable lack of accurate records from this period that makes it difficult to record in true order the events contributing to the growth of the village. During the decade preceding 1890 there was considerable discussion over choosing a name for the settlement. 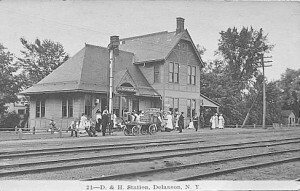 C. D. Hammond, who was superintendent of the Delaware and Hudson Railroad, named it Delanson, coining the word from Delaware and Hudson by taking the first three letters of Delaware (Del), the first two of “and” (an), and added the last three letters of Hudson (son). Thus the name of this village changed, first from Toad Hollow to Quaker Street Station, and then, to Delanson. During the time of agitation for a name, and other matters necessary to a new community, the people became aware of their need for a place of worship. 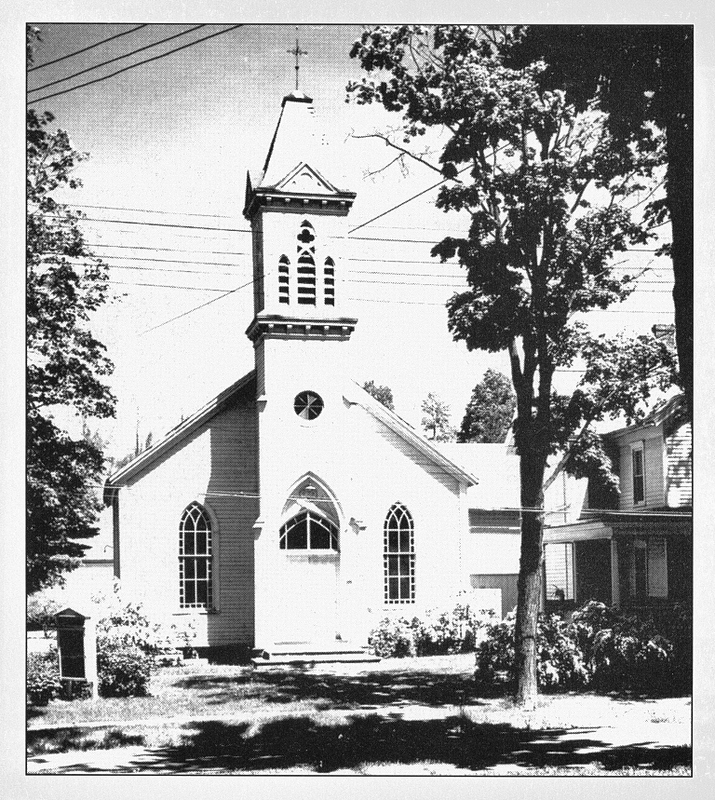 The reward of their efforts was the Methodist Episcopal Church, built during the years 1877-78, which still stands. Its parsonage was built in the year 1886, on the south side of the church. The last portion of the railroad, Bainbridge to Binghamton, was completed in 1869, and through traffic was established, resulting in increased railroad activity. In 1885 the first railroad station and the hay barn adjoining it burned, so immediately a new station was erected on the present site. Building a new station there necessitated the removal of the first crude method of refueling locomotives and a turntable to a new location. About 1900 a greatly improved refueling plant with coal storage facilities was built to replace the previous one. It operated until 1929 when the refueling of engines was discontinued at Delanson. 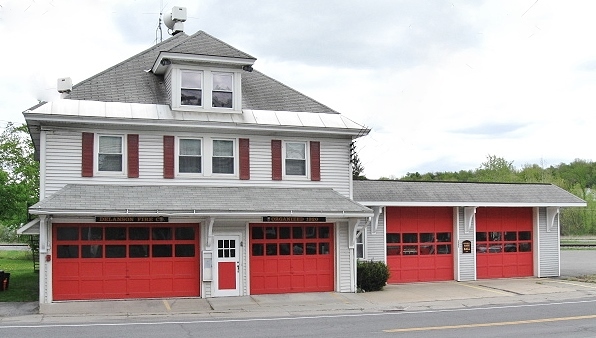 Prior to 1920, there were, from time to time, serious discussions on fire protection and the question of establishing a fire district and incorporating the village. 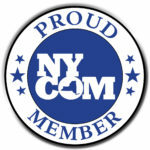 Organization of a volunteer fire department took place in 1920, followed in 1921 by the incorporation of the village. A small hand-drawn hose cart and chemical apparatus were purchased; later a motorized pumper was bought. Mr. R. A. Babcock was the first president of the village. 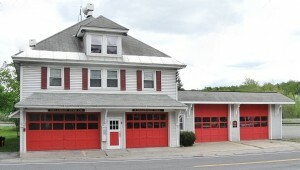 Under his supervision, and with the aid of a progressive board of trustees, the Village Hall, which also housed the fire-fighting equipment and headquarters for the fire department, was constructed. The project, started in 1922, was completed in 1923. In 1925, the Fulton County Gas and Electric Company established service in the village, providing street lights and electric current for domestic use. With the expansion of highways and the automobile, and the decline of the railroads in the mid-20th century, Delanson changed from a commercial to a residential, “bedroom” village. Railroad personnel moved on, but families moved to Delanson to occupy their homes. Many villagers simply prefer living in more of a country setting, even though their employment is found elsewhere, primarily in the cities of Schenectady and Albany.